Tours, Programs and Events for Ages 2-92 to create and learn together. Bring the whole family for our FREE, seasonal Family Festivals- including crafts, music, games and refreshments inspired by a culture represented in the museum collection. Learn and create together as you celebrate Native American Heritage, Lunar New Year, Diwali, Dia de los Muertos or Las Posadas! FREE family Gallery Guides are created for different generations in your group to find, look, discuss and create together in each museum exhibit. Print this PDF of the current guide, or pick up a copy for your family during your next visit! Head to the Stasney Center of Education at your next museum visit and create together as a family. 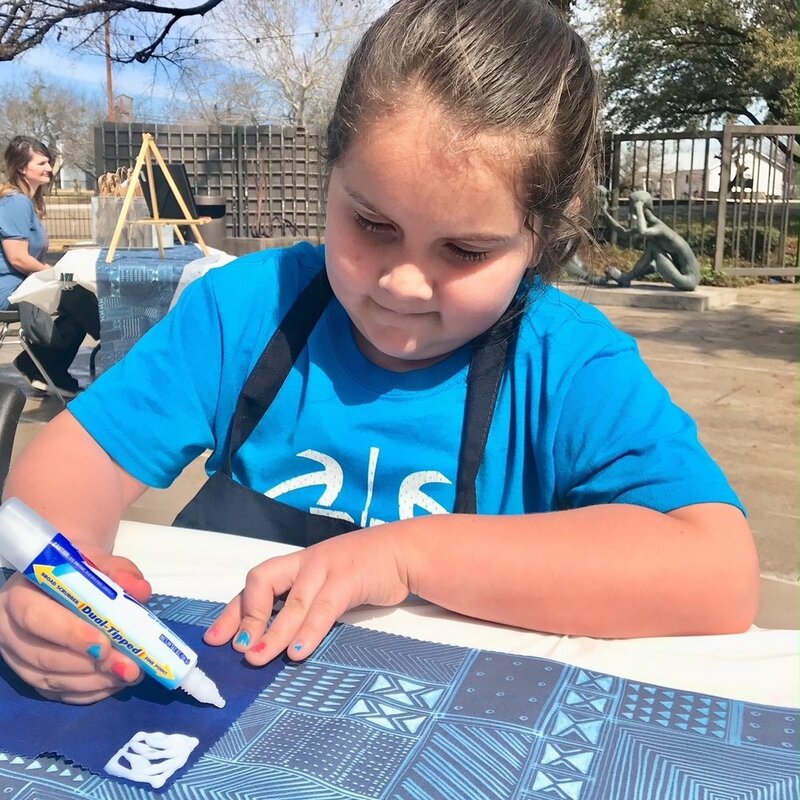 Kid-friendly studio activities connect to current exhibitions. 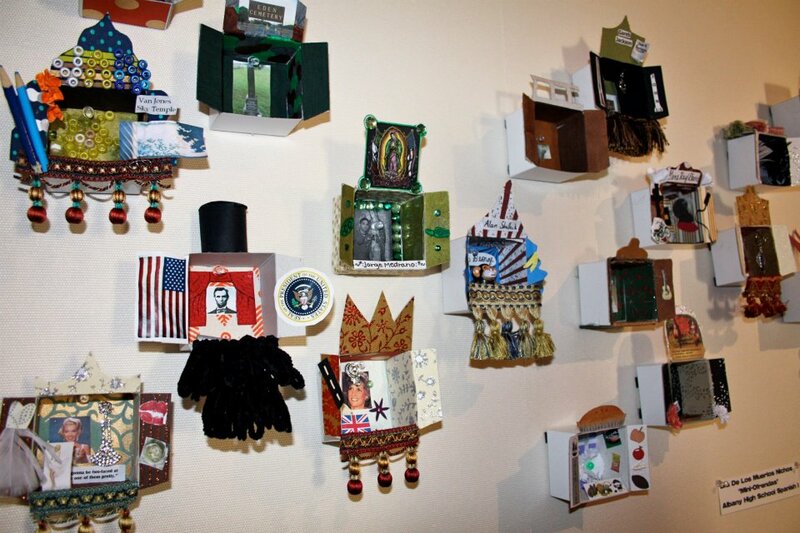 Take your creation home, or display it for other museum visitors to see! Art Classes, Weekend Workshops, Lectures and more! Quarterly, FREE Public Lectures on Art History, the OJAC collection, exhibitions and connected community topics. Monthly lunch-hour video documentary series of fine art and arts culture topics. Bring a brown bag lunch- drinks and light dessert provided. FREE and open to the public..
Art workshops exploring a variety of media, presented in a party-atmosphere! Bring your favorite bottle of wine or beverage, invite your friends, and enjoy step-by-step instruction with an experienced art educator. You'll leave with a one-of-a kind creation and a new found talent you'll want to explore! All supplies included. The Old Jail Art Center offers many opportunities specifically for K-12 public and homeschooled learners. Explore the different programs to find one for your student! Is your K-12 campus a 1 hour drive or less from the OJAC? A qualified educator from the Old Jail Art Center will visit your classroom each month of the school year to conduct a 45 minute, multi-part lesson implementing art history, art criticism, and hands-on art activities inspired by your curriculum and artworks in the OJAC collection. Monthly programs focus on cultural and social awareness themes such as Chinese New Year, Women's History Month, Hispanic Heritage Month, Diwali, Earth Day, National Poetry Month etc. All lessons are TEKS aligned. 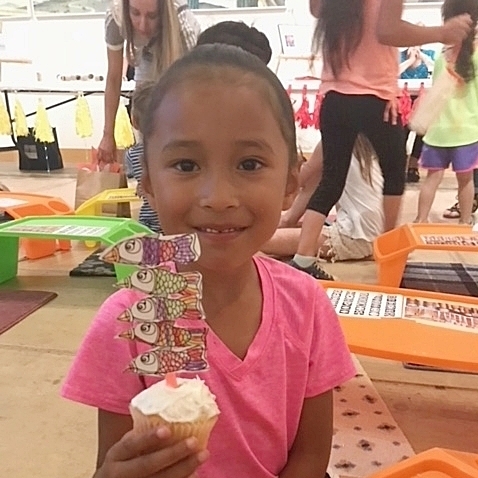 Art-to-Go Programs are always free! Instructor will bring all digital presentation materials and equipment (if necessary), as well as all art materials for studio activity. Art-To-Go participating schools are provided with a full Travel Subsidy to travel to the museum during the final month of their program. This is an opportunity for students to explore first-hand, the art and artifacts they have been investigating over the course of the school year. As with all Art-To-Go sessions, this on-site tour concludes with a corresponding studio activity. Email to contact Education Director or call 325.762.2936 to schedule your Art-to-Go sessions this school year. *Are you more than 50 miles from the Old Jail Art Center? Let us come to you virtually! Explore the Old Jail’s Virtual Outreach program. Experience the museum virtually through Distance Learning! Engage the visual and critical thinking skills of your students while exploring current social and cultural topics through the lens of the OJAC art collection. What to Expect: Students will enjoy a book or short video, investigate and discuss artifacts from the museum collection and create a work of art with a certified instructor. Programs are very interactive and teachers are expected to facilitate questions and pass out materials. The museum provides most of the supplies- materials will be shipped in advance of program. Fees vary per program. Reservations: Please schedule distance learning classes at least two weeks in advance to allow for mailing of art materials. Classes are limited to 30 students, without additional fees, and connections are restricted to one to two campuses to enable instructor attention for each individual student. 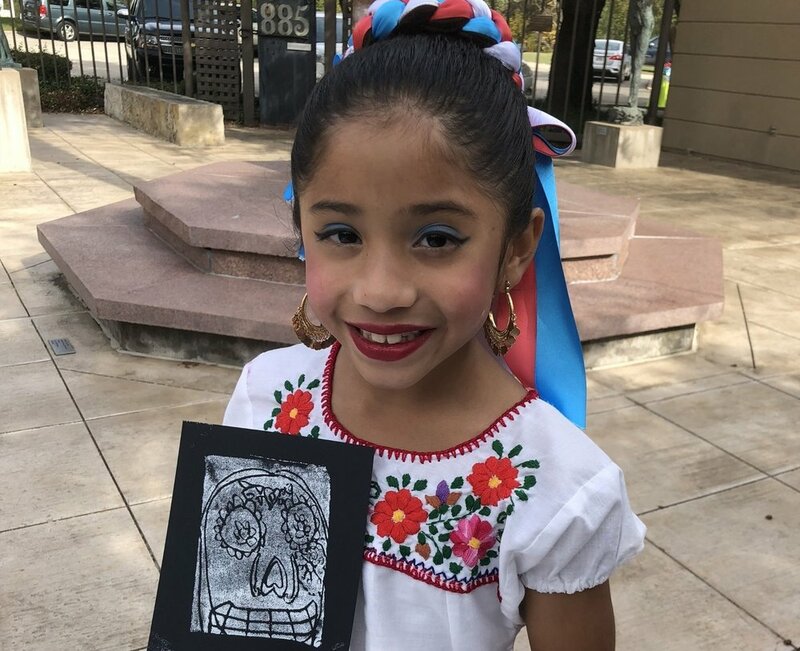 AWARE: various monthly programs connecting the OJAC collection to social awareness observations such as Women's History Month, Earth Day, National Poetry Month, as well as cultural awareness celebrations such as Lunar New Year, el Dia de los Muertos, Diwali, etc. Email to contact Education Director or call 325.762.2936 for more information. Bring your students to see the art! All tours are free! During a visit to the Old Jail Art Center, students are provided a guided tour by Museum Education Staff. Participating schools in the free, OJAC Art-To-Go outreach program (above) travel to the museum during the concluding month of their program for focused, thematic investigation of objects corresponding to that month's cultural or social awareness theme. As with all Art-To-Go sessions, this on-site tour concludes with a studio activity. General school tours (outside the Art-To-Go outreach program) include information about the old jail building and select historical and contemporary artworks in the permanent collection, artworks in current temporary exhibitions, ancient artworks in the William O. Gross, Jr. Pre-Columbian collection and the Asian collection, and historical artifacts from the Sallie Reynolds Matthews Collection. General school tours are followed by a corresponding studio activity (at no charge) inspired by current exhibitions. Reservations: Please schedule class tours at least two weeks in advance. Group tours work best with twenty or fewer participants, but accommodations can be made for larger groups if the museum is notified at least three weeks in advance. Chaperones: One adult chaperone must accompany each group of ten students of any school age PreK-12. Chaperones must remain with their charges at all times. Policies: The OJAC does not allow touching of any of its artworks. Non-professional photography (without flash) is permitted inside the museum and on the grounds. Adult chaperones should be prepared to help enforce these policies. Special Needs: The OJAC welcomes all children. Tours and art projects can be modified to suit any and all students’ needs. Please list any needs or modifications in Tour Request Form (below). Accessibility: The OJAC is fully accessible (restrooms included) except for the second floor of the old jail building, which can be reached only by stairs. The historic building is recognized by the National Register and cannot be altered. The remainder of the museum is at ground level. The OJAC offers a variety of summer classes for students in the 1st (completed Kindergarten) through 10th grades. Student Workshops take place throughout the month of August. All classes (including supplies) are FREE! Click HERE to view descriptions for this year's camps! Starting May 1st, register your students through link on the right. The OJAC Junior Docent Program is a museum training program for junior and high school students. Students undergo training and art exercises at the museum in how to give a tour, facilitate art discussions and develop various educationalprograms. The Junior Docents ("JuDo's") conduct lectures on International Slow Art Day, as well as jurying a yearly show of student artworks created by Art-to-Go participants. JuDo's are rewarded one free, day field trip each school semester to various Texas museums and art sites. This is a wonderful volunteer opportunity for teens to build confidence and enhance presentation skills and college applications. Fill out this online form or contact Education Coordinator to get involved! FOR FULL INFORMATION ON THE SCHOLARSHIP AND TO APPLY PLEASE CLICK THE APPLICATION BELOW. 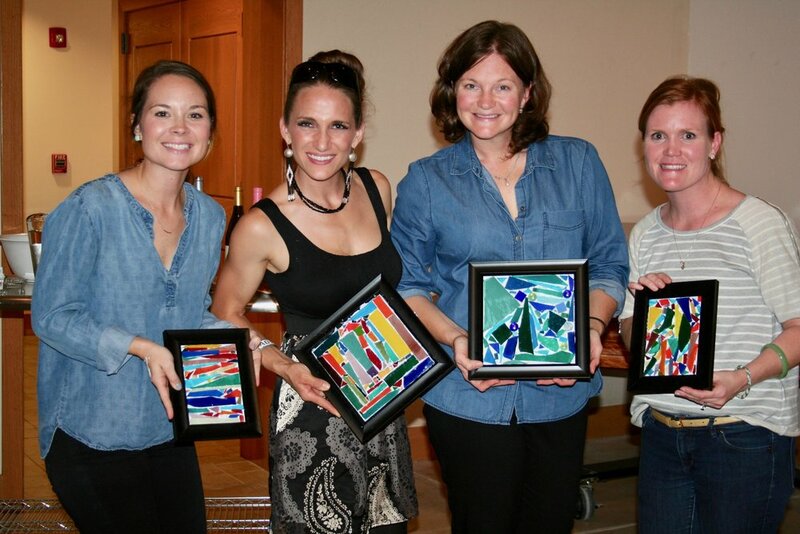 The Old Jail Art Center Education Department is committed to helping teachers, in the classroom or at home, incorporate visual learning into their classrooms and integrate art into their curricula. Each July, the Old Jail Art Center offers a variety of fun and informative professional development workshops to aid elementary and secondary teachers in using the Old Jail Art Center collection, programs and media, art and history, to enhance their curricula. Participants should visit the Region 14 Education Service Center PitStop Website for registration and credit information. Education students and out-of-area teachers not wishing to receive Region-14-certified credit are also welcome to attend OJAC workshops!